Travall are the world's leading supplier of car dog guards and cargo dividers with an unrivalled range of vehicle specific applications. Our car dog guards and cargo dividers are designed and manufactured in the UK to the highest quality standards to ensure that you only receive the best in car equipment. 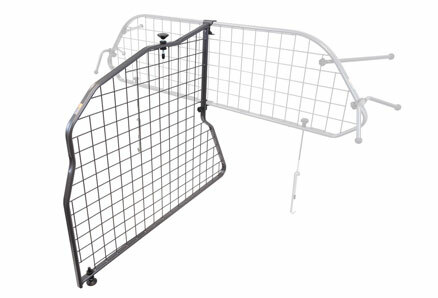 To function Travall car dividers should only be used in conjunction with the Travall dog guards. Using our dog guard and cargo divider allows you to utilise your boot space whilst offering occupant protection too. This combination is suitable for use with pets, cargo, shopping, luggage and more. The Travall cargo dividers are manufactured from precision laser cut mild steel tubing and welded mesh and they are finished in a tough, non-scratch metallic grey nylon powder coating exclusive to Travall. 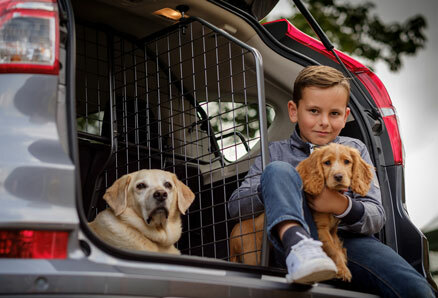 Each of our car dividers are tailored to suit a specific vehicle guaranteeing that it is precisely fitted, easy to install and, when used with the Travall car dog guard, it can provide maximum boot space and protection for you and your pet. Furthermore, all of the product development and manufacturing is carried out in house ensuring optimum efficiency. 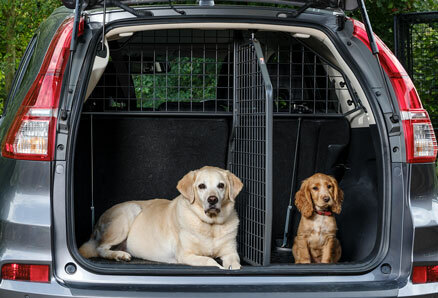 When used in combination with the Travall dog guard, the boot divider offers flexible usage of the vehicle's boot area, providing multi-functional capability. With these well-made and durable products installed you can achieve more boot space whilst also providing secure protection for the occupants of the vehicle. Travall cargo dividers are the way to go for secure and spacious travelling.